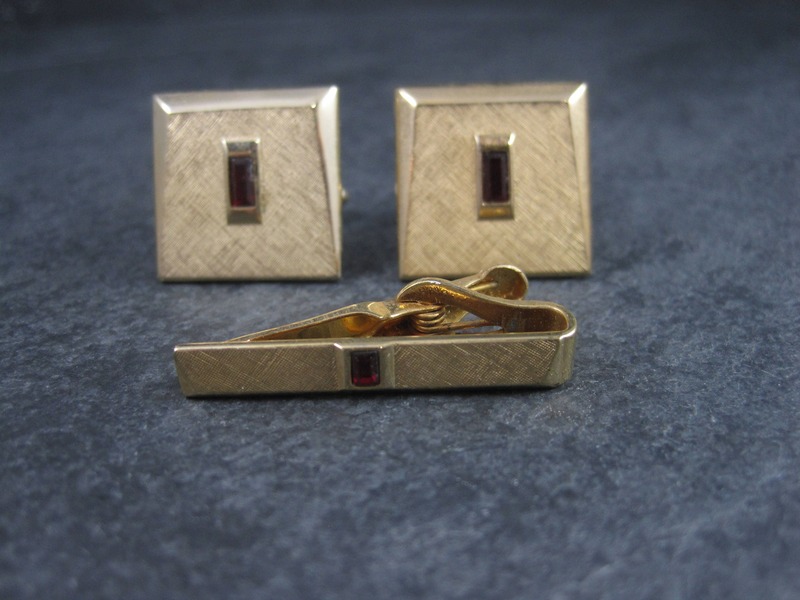 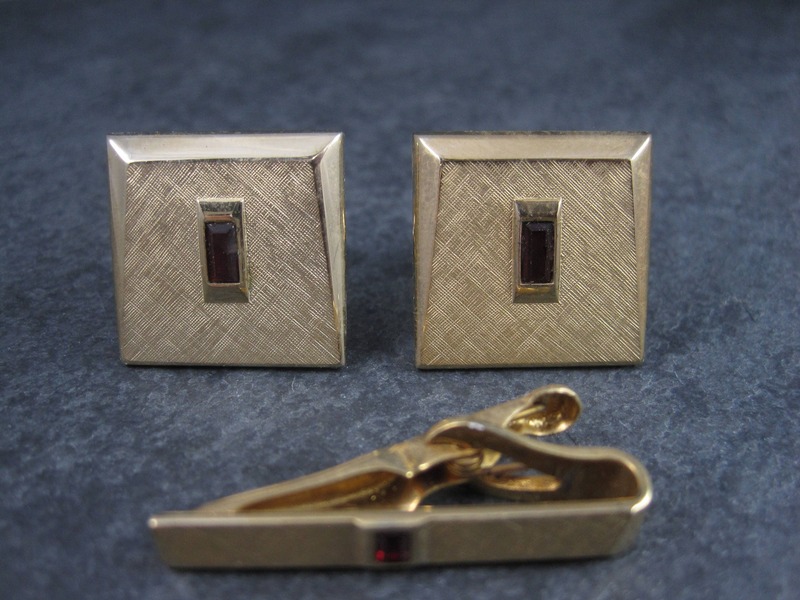 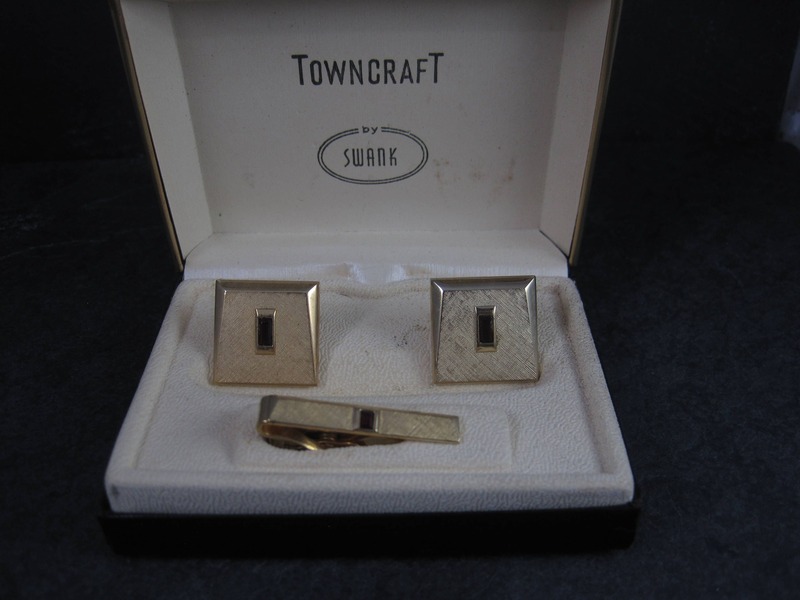 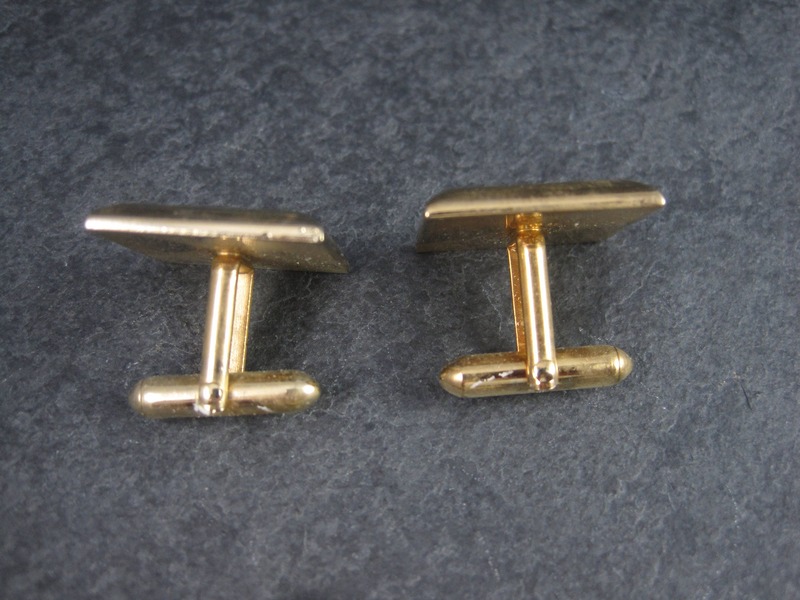 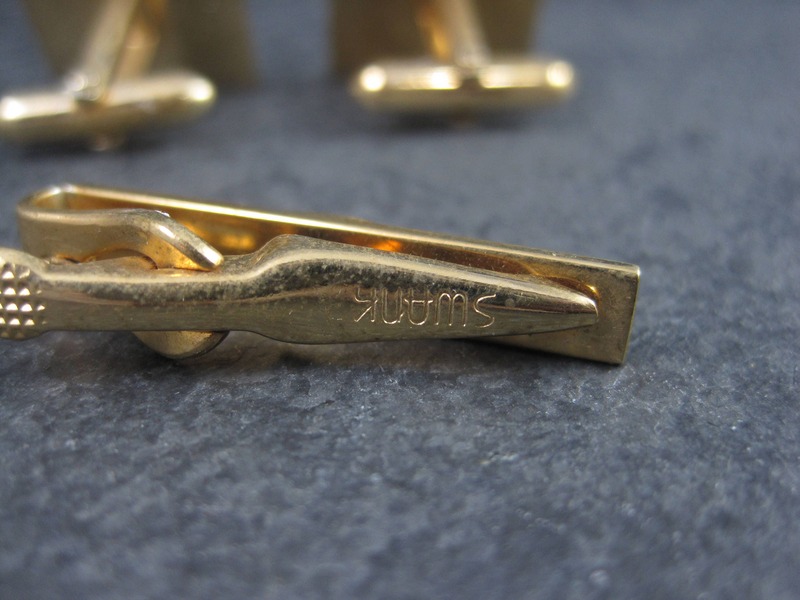 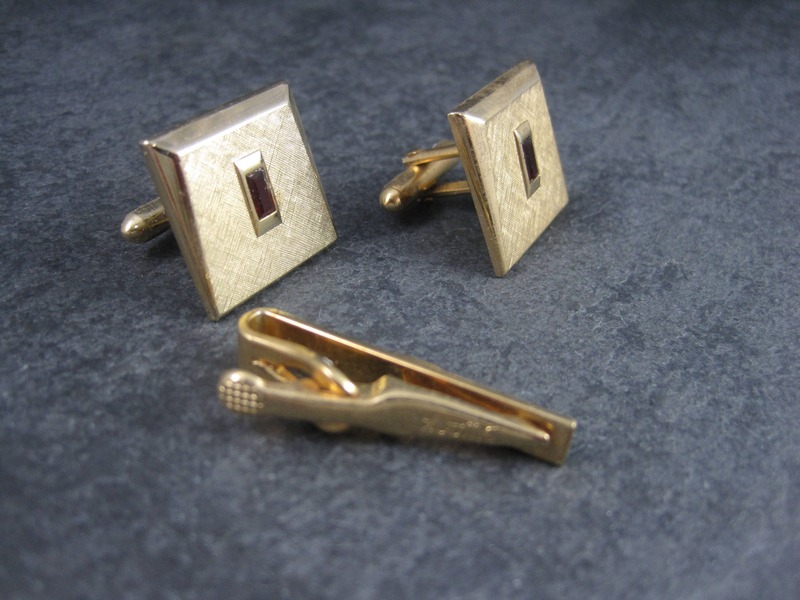 This beautiful cufflink and tie clip set is a product of Towncraft by Swank. 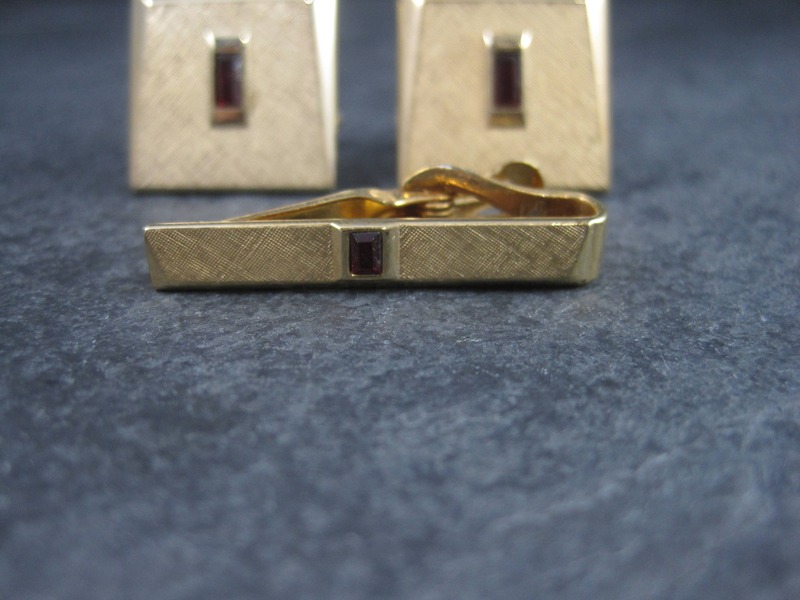 They feature garnet colored glass stones. 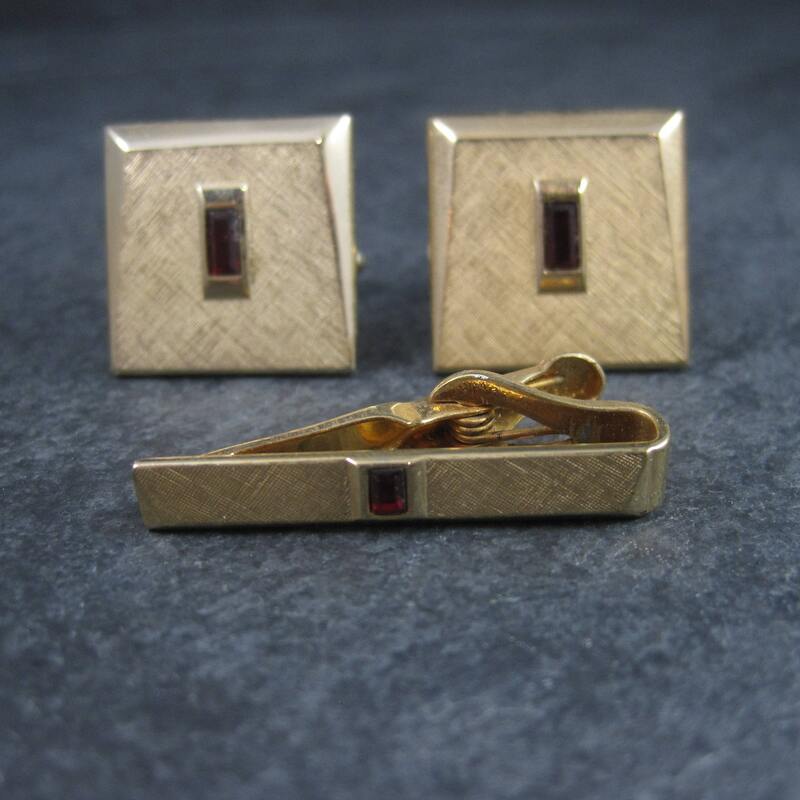 Condition: Excellent - will come with the original box - though the box is not in the best condition.